The Museum of the Kujawy and Dobrzyn land is one of the oldest in Poland. It was founded by The Polish Touring Association Department, based on resolution of its Management from the 2nd of June 1908. Ceremonial opening of The Museum of Kujawy ( its primary name) was in 14th of March 1909. First residence of the museum was by Kaliska Street 1 (now POW Street). The basis of art collections were museum pieces deposited by The School Museum of Polish Mother Country and collection of The Library Association and Reading-Room of Adam Mickiewicz in Wloclawek. The organizational comittee of The Ethnographical-Artistic Exhibition was called in January 1910. Acquisition of folk culture was initiating, therefore reconstruction of Kuyavian house, which was the most important element of the exposition. The ehxhibition was opened in the 14th day of May 1911. Cyprian Apanowicz was its main coordinator, who presented 887 museum pieces! Modest office conditions and bigger and bigger amount of monuments resulted in calling the Building Comittee of the edifice of The Museum of Kujawy Land. Building raised by Slowackiego Street 1a was opened in 7th of December 1930. When the opportunity occured, the first guidebook of The Museum of Kujawy of the autorship of custodian Szymon Rajca was published. Apart from constant ethnographical exposition by 1939, several temporal exhibitions were presented, mainly of the artistic character. Most of monuments were lost during Hitlerian occupation. 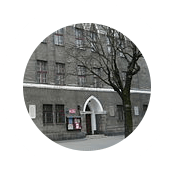 In 1945, the activity of The Museum of Kujawy was reactivated and losses of war were energetiacally replenishing. Thanks to commitment of Henryka Krolikowska, the manager of museum in 1945-1965, not only the pre-war position of institution but also create the basis of its dynamic development. Until 1972, the only one residence of the museum was the main edifice by the Slowackiego Street. On H. Krolikowska`s own initiative was gaining the tenemnt houses by Old Market from the 18th century on the purposes of the museum. The Museum of The History of Wloclawek was opened there in 1972. As a result of the new administrative division in 1975, The Museum of Kujawy was reformed into The Museum of the Kujawy and Dobrzyn Land, which included of its range the territory of the newly created Wloclawek`s Voivodeship. In the 80`s of 20th century, further development of offices base followed. In 1983 The Museum of Stanislaw Nowakowski in Nieszawa was opened (which is a department of The Museum of Kujawy and Dobrzyn Land). Dynamic development of the museal collections made a requirement to gain new stockroom and exposition spaces for ethnography and art departments. It was connected with necessity of the renovation and adaptation of new historic granaries in Wloclawek. In 1986 in the granary by Bulwary Street 6, there was an opening of The Ethnography Museum. Simultaneously, there was a conservation and adaptation of the biggest granary in Wloclawek by Zamcza Street 10/12. At the 80th anniversary of the museum of Wloclawek, at 14th March 1989 this building was opened as The Art Collection. At the same time, the museum gained a granary by Bulwary Street 9 as a stockroom. Beginning of a new department of The Museum of Kujawy and Dobrzyn Land was a result of a need of saving the historic and folk building. After many years working, in 1993 there was Kujawy and Dobrzyn Land Ethnographic Park in Klobka near Lubien provided acces to visitors. Since that time, the heritage park has been extending and it has to take possesion of 40 buildings which are typical for country of Kujawy and Dobrzyn Land.